Buenos Aires has been graced with superlatives during its reign as South America's leading city: "the Paris of the South," "the most European city in South America," "Manhattan in the southern hemisphere." All of these are justified. 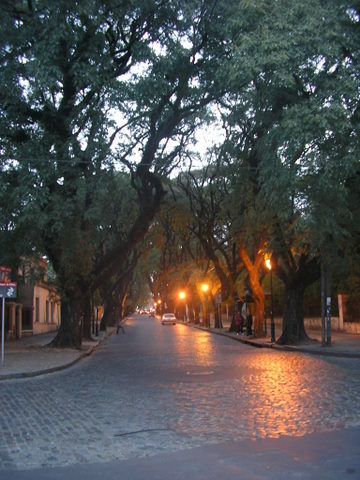 But I prefer to interpret its great author and native son Jorge Luis Borges - Buenos Aires itself is a superlative. 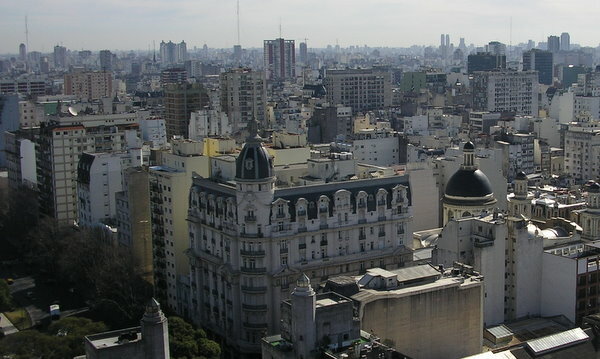 The metropolitan area is vast with 14 million people (35 % of the entire Argentine population) and nearly as many cars. But to put the city in perspective, its land area occupies less than 1/10th of 1 % of Argentina - the 8th largest country in the world. It sits at the entrance to one of Earth's great river deltas formed by the Rio Parana and Rio Uruguay as it creates the vast estuary of the Rio de la Plata. 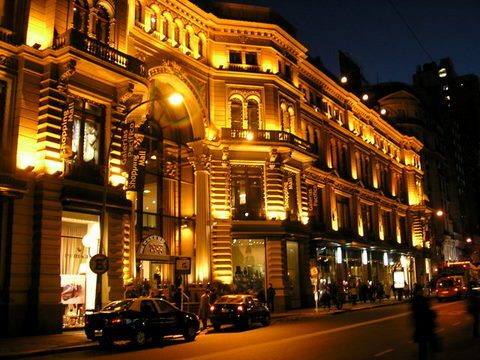 Buenos Aires is a “European” city in culture. French style 1890-1930 buildings are next to a 21st Century building boom in apartments. 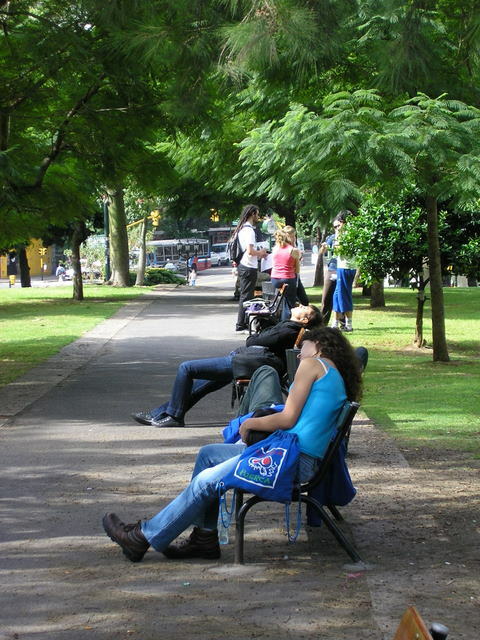 Numerous public plazas and sizable green spaces dot the city. People are on the move, just like Manhattan, except they’re as often going to a café, shopping, taking their children and dogs to beautiful green spaces or visiting one of countless museums and architectural attractions as they are heading for a meeting or appointment. Life is not all work. 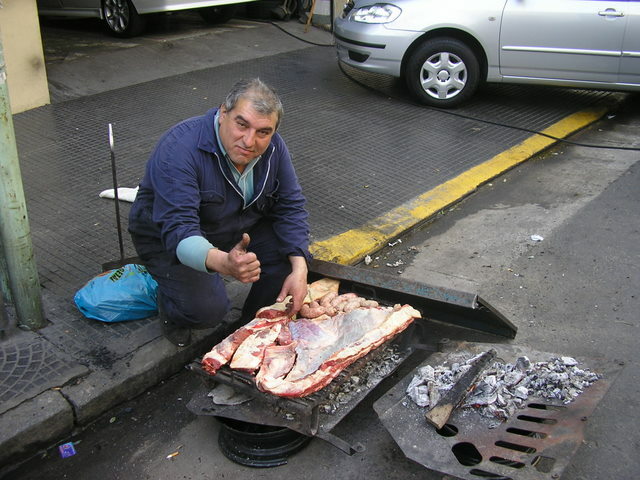 Portenos (residents of Buenos Aires) are friendly and helpful. Reading a map at an intersection will elicit an offer to help with directions and don't be surprised if that person goes out of their way to walk you to your destination. Although it is beneficial if you can speak Spanish, or even Italian, language is not a serious issue - although an attempt at any proficiency level is appreciated. Friendly communication is not simply made with words. The city has a fast subway system, the Subte, which is the oldest in South America dating from 1913. 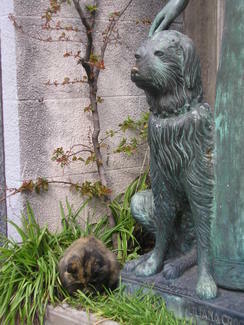 Maintenance on the system is good and it continually expands. During the work week, between 9:00 am to 6:00 pm, it can be exceptionally crowded and guarding the contents of one's pocket is advised. But the cost of a subway ride is about AR$1.20 (US$.32). The bus system - colectivos -is extensive and mastering the bus routes demands patience. The larger spiral-bound version of the Guia “T” (available at newsstands AR$17 (US$4.45) is excellent if you are staying in the city for an extended time. You can easily learn its cross-referenced schedules, and you will soon figure out how to read the route information on the front of the bus. It maps every street in this large city. For short visits, ask your B & B or hotel for assistance, Once you have the system down, you can travel anywhere for about AR$1.20 (US$.32). The busses do speed along as fast as any car down narrow streets as well as the ultra wide boulevards. I've yet to see an accident although I'm sure they occur. If you are not traveling at rush hours, you will get to your destination faster than you imagined, and you’ll explore this rich city. Portenos drive like the Romans – which isn’t surprising since a sizable portion of the population is of southern Italian descent. And like the Romans, there are few accidents or dented cars. (I don’t know how they do it?!?) Also like Rome, the street system is difficult to master. Street signs are few and name changes are frequent. A simple compass and a good map are a necessity. But as a tourist, don't even think about renting a car! It's expensive and not worth the tension. Taxis are an excellent inexpensive alternative and a requirement in the evening - who else will drive you back to your hotel after leaving a club at 4:00 am? Taxi fare anywhere within portions of the city that most visitors would regulary travel rarely costs more than AR$15 (US$4.00) Your accommodation, restaurant or club will call a taxi and it’s advisable that you take advantage of the service. A few drivers will try to quote you a set fare. Unless you are being transported to or from the airport, this is not legal. Make sure the meter is turned on. Tipping is traditionally “rounding up” the fare to the next peso - example AR$3.75 round up to AR$4. Working hours follow a European model. Shops and offices open sometime after 9:00 AM. Lunch is anytime between 12:00 and 3:00 (at least 1 ½ hour lunch break) when you can expect many shops and most professional offices to be closed. They'll reopen around 3:00 until 8:00 pm or so. (Do not expect much of anything to be open on a Sunday.) Of course, these time guidelines are just averages in a city as diverse as Buenos Aires. Rush hour traffic in the afternoon is extremely heavy between 4:00 and 8:00 pm. Except for summer - December through February - the climate is moderate. Summer can be brutal and humid. Many residents leave for the vast stretches of Atlantic seashore or the Delta. Spring and autumn are superb. In winter Buenos Aires night time temperatures are not severe - usually in the upper 30's with daytime in the upper 50’s to upper 60´s. Bougainvillea, impatiens, palm trees, day lilies and even Bird of Paradise flowers flourish in the parks, plazas and balcony gardens. Many types of trees - especially Australian eucalyptus imported in the late 19th century - do not lose their leaves. Despite the cars, people walk everywhere. Pedestrian street malls are common in large Argentine cities. In Buenos Aires some stretches of Calle Florida have been car-free since 1913 making it one of the oldest pedestrian thoroughfares in the world today. Car-free Lavalle and other streets contribute to a vibrant shopping and restaurant scene where street performers abound. 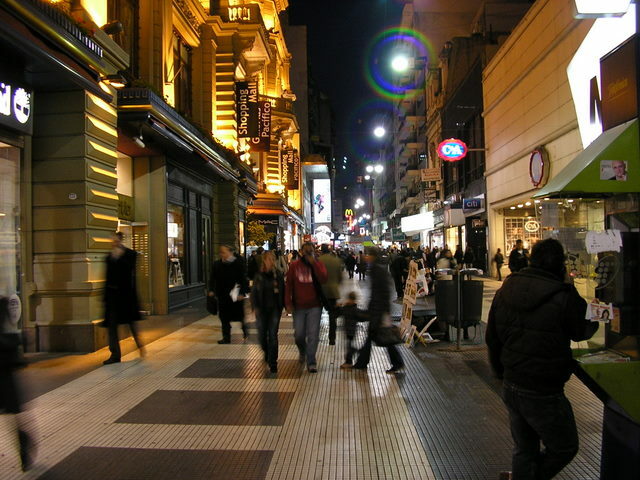 Unlike many US cities whose experiments in pedestrian malls over the past 25 years destroyed once vibrant shopping districts, the pedestrian malls in Argentine cities are fashionable and popular. 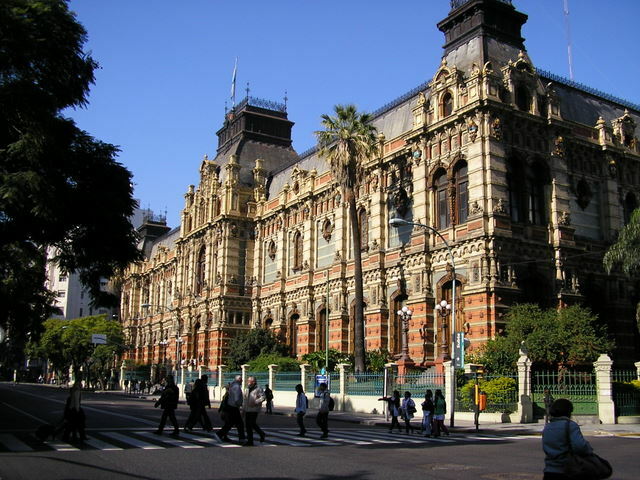 Buenos Aires architects are masters at adaptive use without destroying historic beauty! 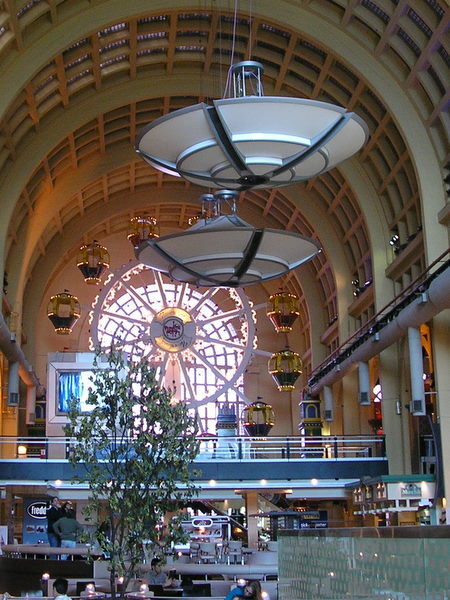 Large historic buildings have either been restored or converted into elegant multi-use indoor malls such as the spectacular art deco Abasco Mall, Corrientes 3247, Galerias Pacifico, San Martin 768 and the incomparable El Ateneo Grand Splendid bookstore, Avenida Santa Fe 1860. 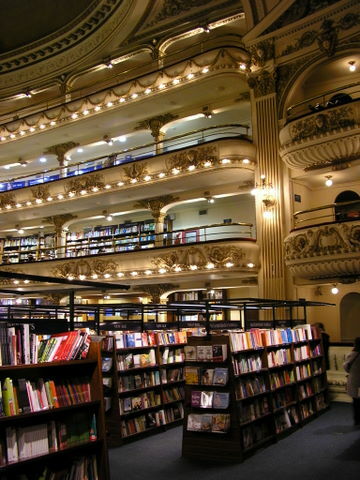 Rated in the top ten of the world's bookstores by England's Guardian newspaper, the El Ateneo occupies a magnificent former 1920's movie palace. Portenos love to shop and dressing well is the norm – “grunge” (even in working class La Boca and among students) is not the style. Despite Argentina having had critical economic fluctuations over the past decades one does not see that in their person. Perhaps the most charming feature of the city is its districts. 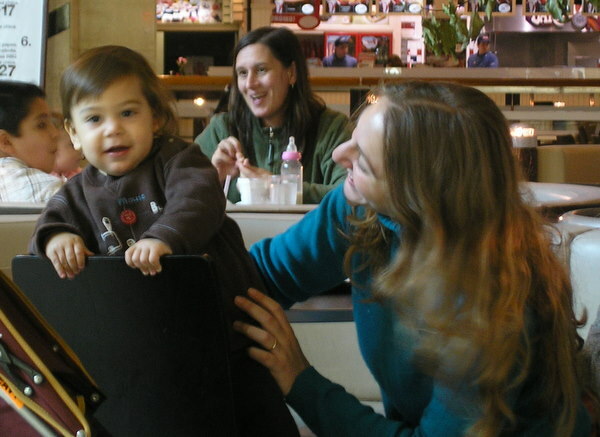 Metropolitan Buenos Aires is subdivided into 47 "barrios," which to Portenos are their home towns with distinct features. 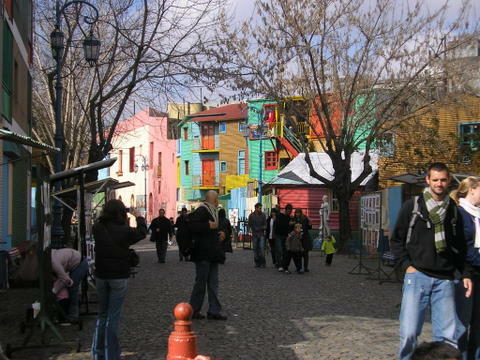 Working class and day-time tourist destination La Boca is the oldest dock district in Buenos Aires, and its central streets are filled with multi-colored houses and folk art. Its outer streets are a mixture of "rural village" and industrial warehouses with a few of the finest restaurants in the city. 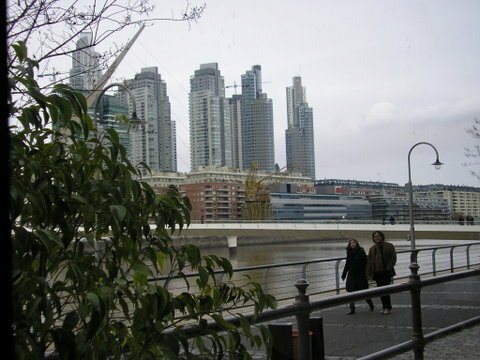 Puerto Madero is the "newest" residential barrio in the city built on the reclaimed dock land. 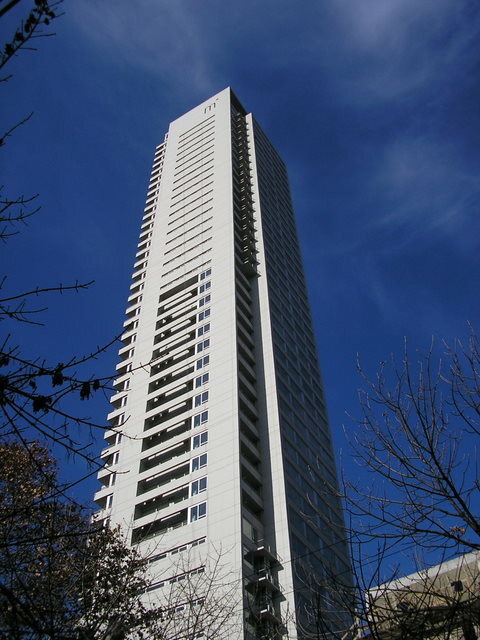 It is the hip area for the young professional elite who live in towering modern condos with stunning views of the city, the Rio de la Plata and spend their evenings in chic new clubs. 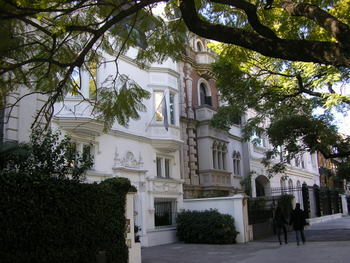 Recoleta, Retiro and Belgrano, since the late 19th century, have been, and remain today, the most elegant barrios in Buenos Aires. Luxury apartment buildings, palaces, embassies, spacious plazas, cafes, the best museums and expensive shops abound. 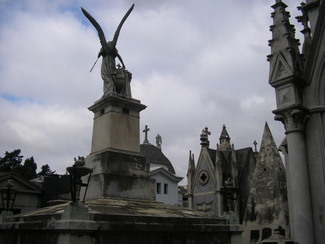 The Recoleta Cemetery, Calle Junin 1790 (7:00 AM - 6:00 PM, daily, free) is where the wealthy and famous rest in the after life in palatial splendor. The cemetery consists of lavish and imaginative family mausoleums in diverse architectural styles, adorned with bronze and marble sculptures. Once your senses adjust to the serenity it's possible to gain great insight into the social history of Buenos Aires and the nation. Evita Peron is buried here – and still revered. 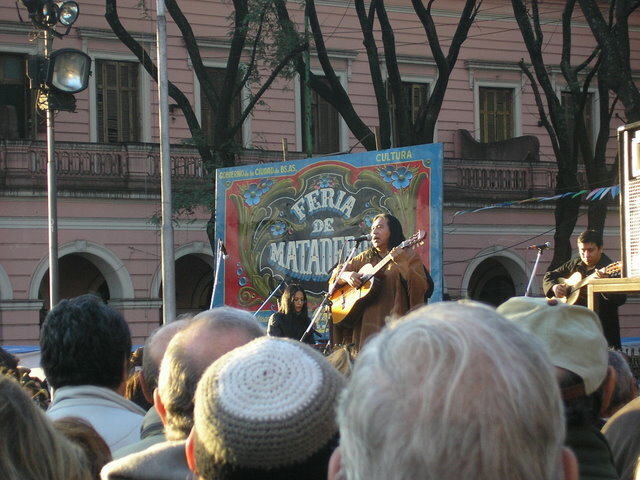 The extreme western barrio of Matederos is host to the incomparable Feria de Matederos. Once the “slaughter house” of Buenos Aires, this barrio on the edge of the Pampas, is host every weekend to the sounds of the best in Argentine music, artisan foods, crafts and antiques. It is a “must” for any visitor especially since few guide books even mention this treasure! Poverty is evident, especially in remote rural areas and on the outskirts of Argentine cities. Slums within cities are rare. According to UN statistics, the poverty rate is on average with other first world nations. As for personal safety, common sense is the rule and no extraordinary precautions are necessary other than ones taken in any large city.